I was back to the Worker’s Stadium to attend the famous derby, Beijing Guoan against Shanghai Shenhua after a first successful experience last year. As I like football, the date was ticked on my agenda following the buzz that happened in European and World media last months. 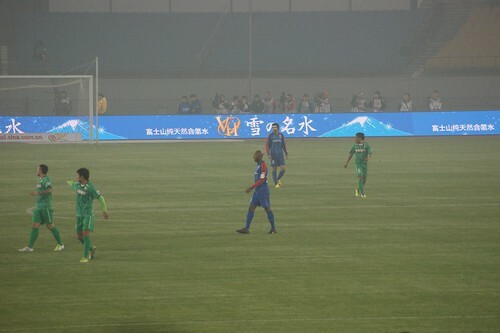 Yes, Nicolas Anelka, former French football star has joined the CSL, Chinese Soccer League to play with Shanghai Shenhua. 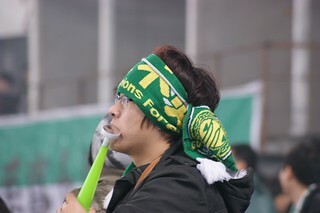 He will earn an incredible amount of money but it also creates lot of noise on the CSL and motivates people to go to the stadiums. 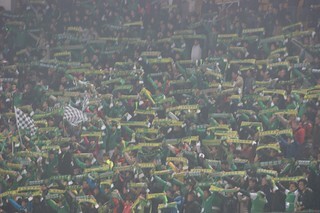 Last Friday, over 51 000 fans (covered in green) came out to the Worker’s stadium to watch the “China Derby”. When you think about “derby”, you directly got in mind Barca-Real, Arsenal-Chelsea or Inter-Milan AC. This is approximately the same intensity between the 2 biggest towns in China, Beijing and Shanghai. These 2 teams just hate themselves, the players are over-motivated, the tension is incredible on the pitch and in the stands, they should not lose this game! This match was really good, both in the stands and in the field (better than the first match that I attended). This game has lot of unexpected changes. 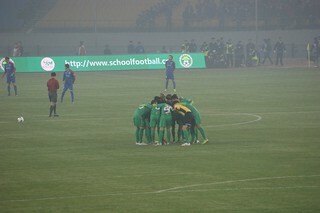 Beijing Guoan leaded 2-0 due to poor Shanghai defenders but Shanghai came back to 2-2 (with first goal from Nicolas Anelka) before late goal for Guoan, 3-2. 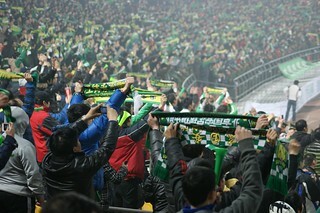 The stadium was jubilant, the players even stayed several minutes after the game in the pitch to take a bow!